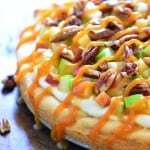 This Caramel Apple Fruit Pizza is a delicious fall dessert with a sugar cookie crust, cream cheese frosting, toasted pecans and a drizzle of caramel. 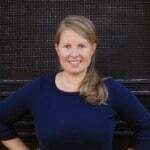 What do you serve when your husband’s BOSS and his family are coming to your house for coffee? And as if that’s not enough pressure, add the fact that your husband’s boss is a big fan of your blog so he sees all the desserts you make. (Hiya Jayson! Thank you for all your support!) 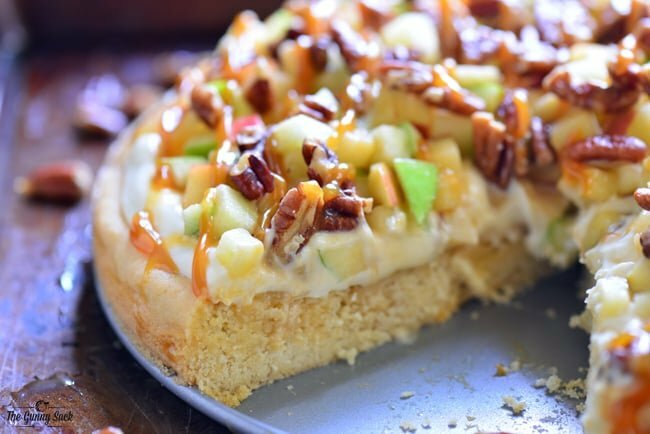 I chose this Caramel Apple Fruit Pizza because it is a delicious fall dessert with a sugar cookie crust, cream cheese frosting and pecans sprinkled on top. 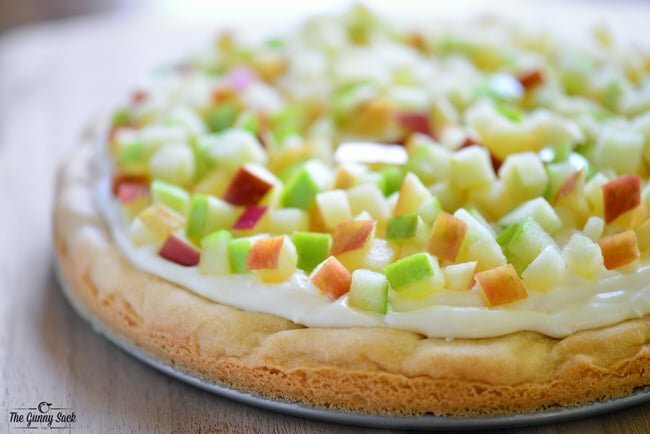 Before choosing this apple pizza, I thought about lots of different recipes I could make and didn’t know if I should go with a classic or try something new that I hadn’t posted yet. I finally decided to serve a few different things. I had some sugar cookies on hand and I knew the kids would love them. I also made White Chocolate Pecan Cookie Bars served with ice cream and warm Maple Caramel Sauce. Finally, I wanted to serve something seasonal and since the summer is rapidly turning into fall I decided to make this Caramel Apple Fruit Pizza. Brian has worked with Jayson and his wife Jenny for over 10 years (maybe 15?) at a couple different companies. I’ve gotten to know them both through Brian, but this was our first opportunity to have them in our home. We had such a wonderful evening together and I was super excited that they brought me a ton of vegetables from their organic garden! 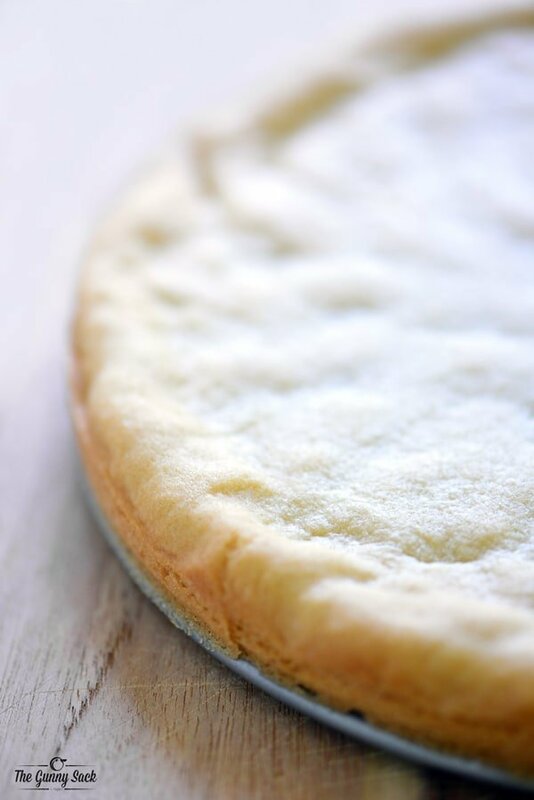 Start with a sugar cookie crust. I made it in a 9-inch springform pan, so that I could serve it on a cake stand, but is could also be made in a bar from in a 9-inch square pan. Next up are the apples. I used a gorgeous green Granny Smith apple and a juicy red Fuji apple, but you can use any apples you want. HELLO autumn! I love everything about you! 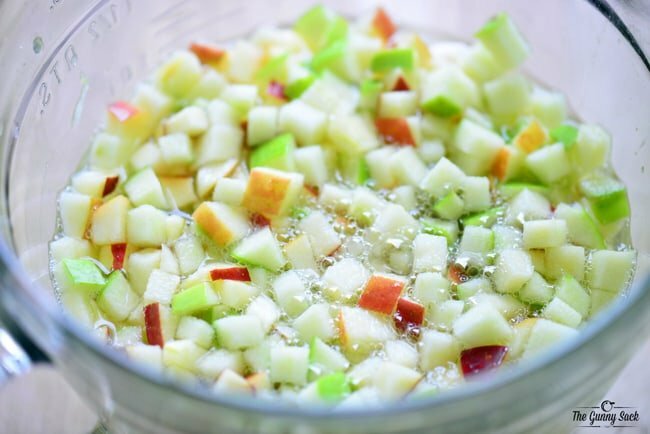 Put the diced apples in club soda for about 3 minutes to prevent browning. 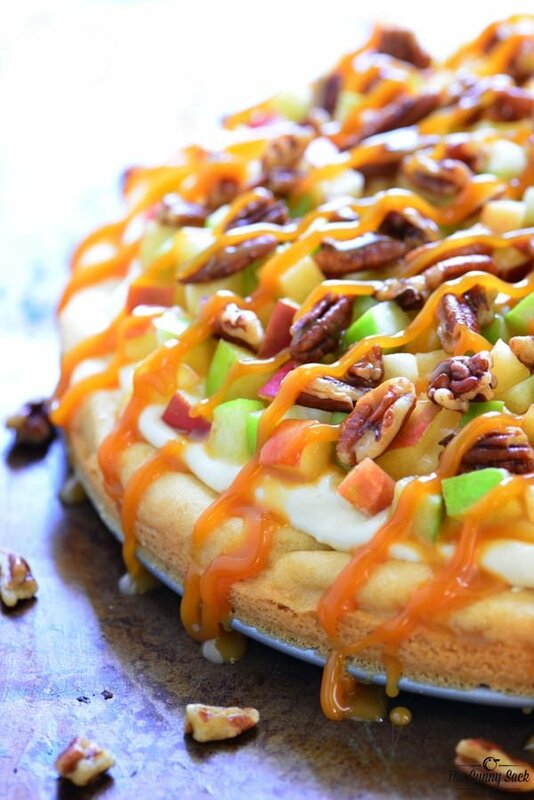 Mix together the cream cheese frosting, spread it on the sugar cookie crust and top with the diced apples. Sprinkle with toasted pecans and drizzle with caramel sauce. To get the more precise drizzle, I piped the caramel sauce on the fruit pizza from a disposable icing bag. 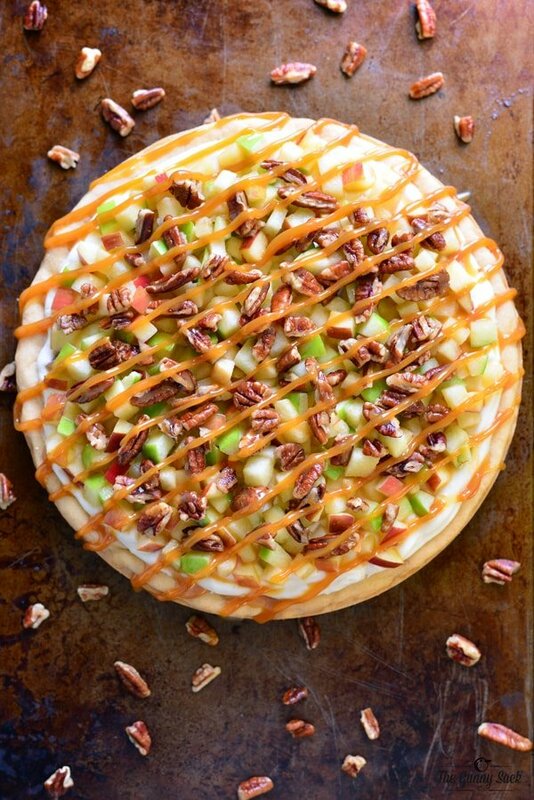 This Caramel Apple Fruit Pizza is a delicious way to celebrate the flavors of fall. I’ve already made this fall dessert a couple more times and shared it with lots of friends. Everyone loves how pretty the fruit pizza looks and they all agreed that it was delicious! Beat the butter and shortening together. Add granulated sugar and cream together for 2-3 minutes until lighter in color and fluffier in texture. Mix in the baking powder, salt, and flour. Press dough into a greased 9-inch springform pan. Beat in the softened butter. Add vanilla and half-n-half, if necessary. Put the diced apples in the club soda water immediately after dicing them. Soak them in the water for about 3 minutes and then drain the water. Spread the prepared cream cheese frosting (recipe below) on the cooled sugar cookie crust. Top with the diced apples, sprinkle with chopped pecans and drizzle the caramel sauce over the top. Has anyone made this before in a 9×13 pan? Could I use lemon juice instead of soda for the apples? Yes, you could but the lemon juice flavor might come through. 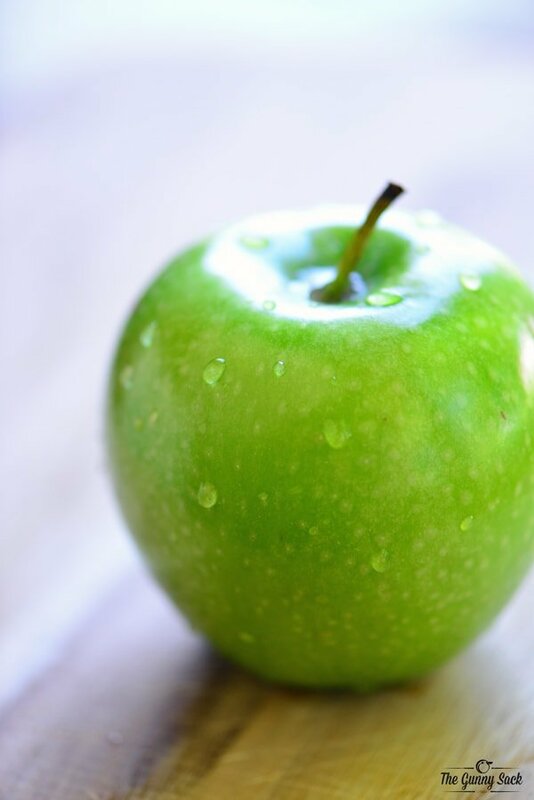 Here is a list of 10 apples that don’t brown easily: http://www.healwithfood.org/best-apple-varieties/non-gmo-apples-that-dont-brown-easily.php You could try one of those varieties and skip the soda altogether! Best of luck! They look yummy and I’ll definitely be making them.. The pics are amzing. Now that’s my kind of pizza!! It looks amazing. Thanks. Has anybody ever tried it with a peanut butter cookie or brownie for the base? THIS LOOKS AMAZING Such great photos. I am linking in it in my Apples Play Date Planner. I love the pecans yum. Could I use the refrigerated cookie dough and put it on a pizza pan? Also, if made ahead of time, do I store in in the frig? Yes and yes. 🙂 I’ve never tried using the refrigerated cookie dough for this recipe but it should work just fine. Best of luck! Can this be made on a cooke sheet? I need to feed a large group of people and was thinking of doubling the ingredients and putting it on a cookie sheet and cutting into bars. Anything I should change? Thanks. No, I would not make it on a cookie sheet, because it might spread right off the pan. How many people are you making it for? I would suggest using a 9×13 pan or even using a jelly roll pan. Here is my recipe for a large pan of sugar cookie bars that you could use for the crust: https://www.thegunnysack.com/brown-butter-sugar-cookie-bars-with-fluffy-buttercream-frosting/ If you make it in a 9×13, you might not even have to double it because the crust is pretty thick in the 9-inch springform pan. I like your idea of using the other recipie for the crust. I will use a jelly roll pan. 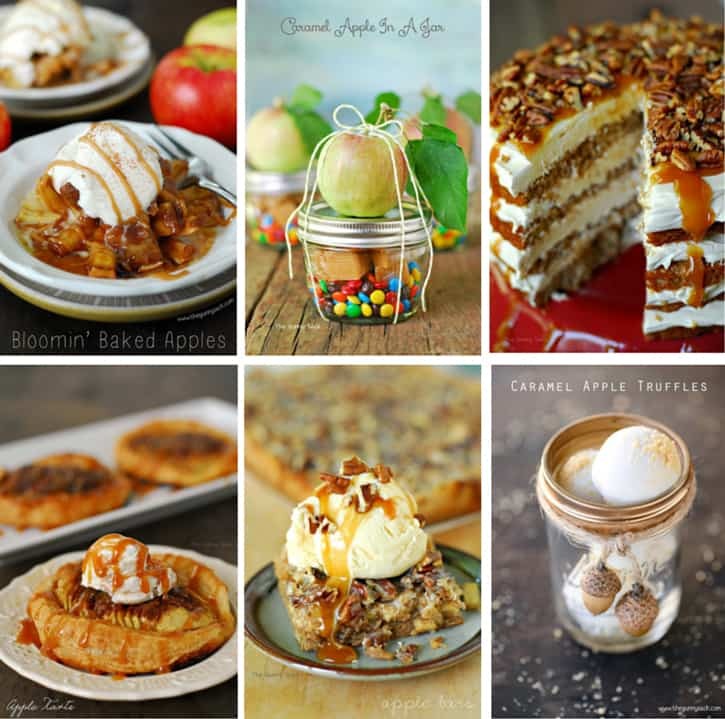 Do you suggest doubling the apple’s and cream cheese mixture? Yes, they would need to be doubled. Best of luck! Could this be made ahead of time for a large party??? I was thinking maybe individual cookies. What are your thoughts.. Saw this today – made it tonight – taking it to church tomorrow! Oh, we did have to sample it first – yumm! Thanks for sharing! I could literally stare at this all day, it looks incredibly good! Thanks Matt! It does look pretty, but it tastes even better! My husband’s boss lives 3000 miles away, so thankfully I never have that problem. 🙂 But this cookie. OMG! Oh, you never know, Dorothy! He/She might decided to come to the USA for a visit and want to spend some time in an American home. LOL! Thanks! Thanks Jamie! It’s gotten hot out again so it’s hard to think that it’s almost fall. I have been seeing colorful leaves on the ground already!